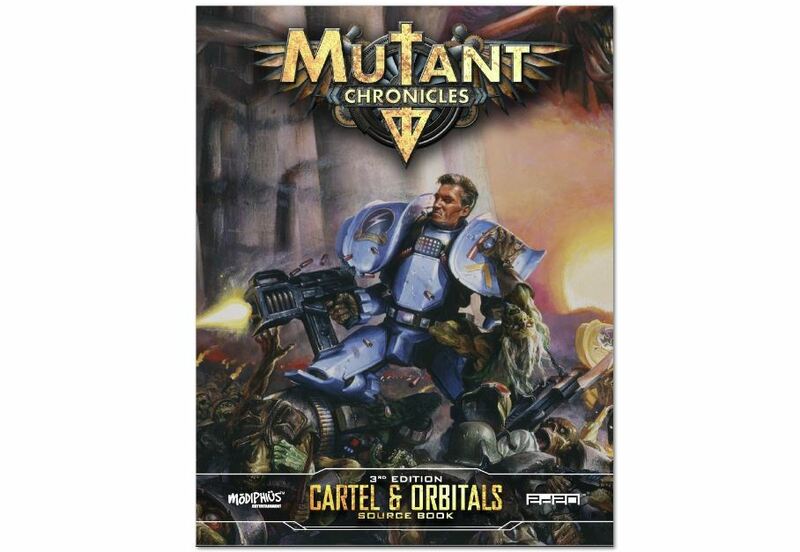 Modiphius has released a new sourcebook for Mutant Chronicles, their sci-fi RPG. It's called Cartel & Orbitals and it further delves into the various corporations and groups that vie for control of the various planets. In this case, the focus is The Cartel that does its best to be a unifying faction. Not so easy to do, though. Like previous books, this one delves into the history of the group in question. From there, it goes into the structure of this entity as it works to hold the solar system together. Then you can check out the Freelancers, the group that works just on the edge of lawfulness. Of course, no group is entirely without fault, so the book also looks at the way in which The Cartel can cause problems for others in the name of forwarding their own aims. The book is available both in print and .pdf formats.